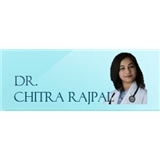 Dr. Chitra Rajpal, MD (Jacksonville) - Book Appointment Online! The only issue I had was the fact that I could hear the nurse assistant discussing the problems I was having to the doctor right outside the door. It was confidential information and although I was the only patient, the other workers could hear her and it made me feel uncomfortable.